BlackBerry Pearl Flip 8220 goes live on T-Mobile's site | BlackBerry Blast! 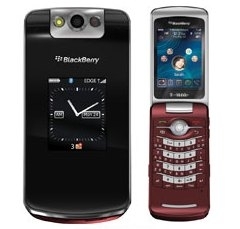 Although the new BlackBerry Pearl 8220 Flip is not for sale yet, it is listed on T-Mobile's web site. The site merely says "coming soon" so we'll have to assume it will be released in a few weeks. You can pre-register to be notified when BlackBerry's first flip phone is released.